With summer finally here, it is time for us to spend more time outdoors with our favorite canine family members. While they obviously love walks and a good run, why not ad some fun new toys to the mix, like the Bomber by Zeus. Made from 4 mm natural rubber, it’s designed to support the constant stress of highly active dogs, allowing dogs to have fun chasing after this fun ball with owners, or cooling off in the summer heat in the pool as they swim after this ball. Also, dogs can enjoy some cooling off time in the shade with a fun Tasty Bones dental or chew toy, giving them a chance to chew on something safe and tasty! With fun toys like these, dogs can have hours of fun with humans or other canine companions! 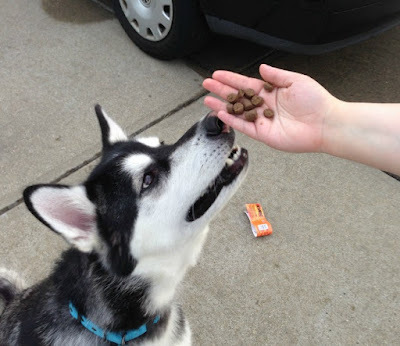 Of course, time outdoors requires lots of fun snacks and training treats. What better way to make off leash training fun and tasty than with Zoe Tender Bites, Zoe Tender Chunks, or Hagen Heritage Treats. These treats are soft, chewy, and highly palatable, making them the perfect reward during training. Best of all, they are made in Canada using only North American ingredients, making them the perfect natural and grain free choice for dogs. These healthy treats also do not contain corn, wheat, soy, or artificial flavors. These treats are also available for giving medication, making giving your monthly heartworm medicine even easier. Who knew treat time could be so much fun? Want to make this the best summer possible for your pet? We are excited to be working with some amazing Hagen pet brands on this fun warm weather themed giveaway. 2 very lucky winners will win a prize pack valued at up to $80 each (depending on size of dog). 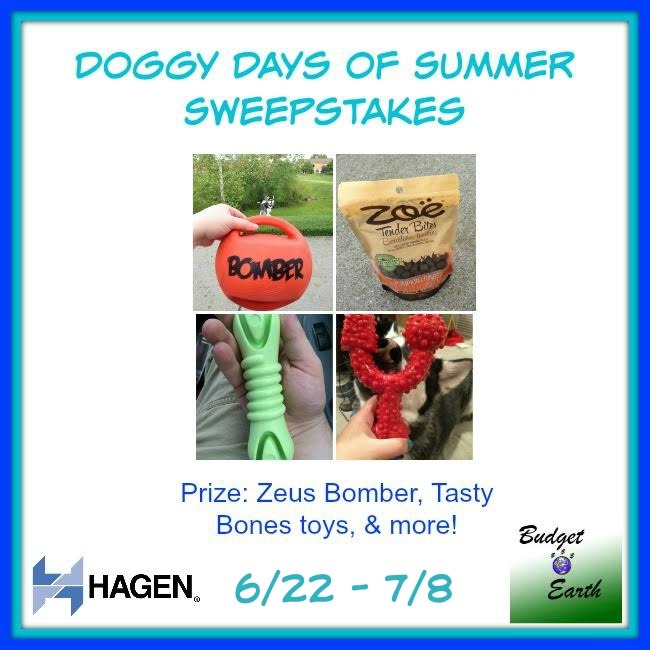 Some of the prizes include a Zeus Bomber, Zoe Treats, new Zoe Tender Chunks Treats, Hagen Heritage Treats, and Tasty Bones (dental and chew toys). To learn more, make sure to read the rules below and then enter through the Rafflecopter! Two lucky reader will win a Hagen Pet’s Dog Prize Pack (prizes listed above). Sweepstakes ends July 8th at 11:59pm ET. We love going to the park. My dog is very old & has a hard time getting around. We used to go for walks & play fetch the ball all the time. Now I'm just happy to still have him around!! Its hard to pick one favorite. I like to take my dog hiking, canoeing, and camping. My dog loves playing ball, but when it's really hot we can't play for very long. I think this summer we are going to make some trips to the beach. My favorite summer activity with my dogs is taking them down to the river to play in the water. My dog loves playing ball in the backyard! My dogs love playing with the hose. I love hiking with my dog.